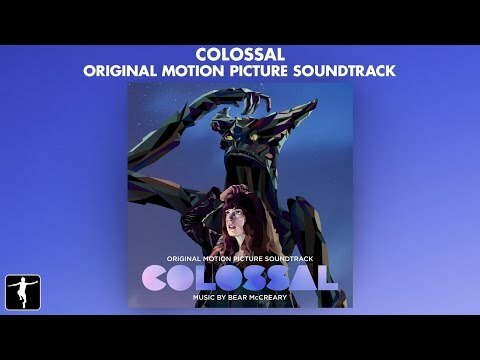 Lakeshore Records, in conjunction with Mondo, will release the COLOSSAL – Original Motion Picture Soundtrack digitally on April 7th and on CD May 12, 2017. The album features the original music by Bear McCreary (10 CLOVERFIELD LANE, OUTLANDER). Available for pre-orders on mondotees.com beginning April 5th, and in-stores on May 26th, Mondo will release a limited edition 180-gram vinyl version of the soundtrack, featuring original artwork by We Buy Your Kids. Meanwhile, on the other side of the world, a larger-than-life creature begins attacking Seoul, South Korea on a nightly basis, captivating spectators around the world. One night, Gloria is horrified to discover that her every move at a local playground is being mimicked on a catastrophic scale by the rampaging beast. When Gloria’s friends get wind of the bizarre phenomenon, a second, more destructive creature emerges, prompting an epic showdown between the two monsters. NEON presents COLOSSAL in theaters nationwide on April 7, 2017. Lakeshore Records will release the COLOSSAL – Original Motion Picture Soundtrack digitally on April 7th and on CD May 12, 2017. Mondo will release an LP version of the soundtrack on May 26th, with pre-orders beginning April 5, 2017.